Apex Auto Glass and Tinting isn’t only for cars! 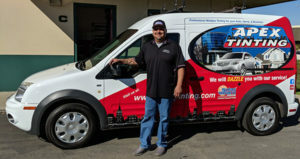 We also specialize in both commercial, as well as residential, window tinting. For large or small businesses, offices, store fronts, buildings, medical & dental, or schools, Apex Tinting has years of experience solving window issues with professionally installed window tinting films. Have you been dealing with bothersome glare? Undesired heat levels? Perhaps you have privacy or safety concerns… all of these are great reasons to choose Apex Commercial Window Tinting. These days most building designs have a lot of windows. The obvious advantage is natural light and views. The disadvantage however, is the heat levels, glare and building vulnerability. Energy expenses can climb when the sun shines, even if the temperature outside is nice. The windows act like heat magnets! Some places attempt to solve these issues with blinds or shades. These choices can provide some needed relief, but they fall short in overall advantages. Blinds still let the heat into the building, where as window tinting film can keep out up to 70% of solar heat! Window film stops heat before it enters the room. Another added benefit to window film is that it largely reduces glare without blocking the view! We think it’s pretty clear that in most cases, window tinting film is a better choice than blinds or shades! Windows are typically the most vulnerable part of any building. While it goes without saying that nothing can completely stop a determined thief, security window film can actually be a deterrent, and slow down attempted entries, providing valuable time for help arrival. Apex has a variety of safety and security films that range from 4 mil through 18 mil. and we specialize in installing anchoring systems that strengthen and bind security films too. We also offer Graffiti Guard window films. Much like Security Film, Graffiti Guard is thick and applied to the exterior of windows that may be at risk. If defacing or tagging damages the film, it can be easily replaced for less money than replacing a whole window or resurfacing the glass itself. Large glass storefronts allow businesses to showcase merchandise and let the natural light in. However, these large windows let in unwanted heat and the UV rays damage your valuable merchandise, and store or office interiors. Not only can UV rays cause sun damage to people and materials, but the glare can make it uncomfortable for customers to shop, clients to work with you and even employees to be effective at their jobs. If glare creates difficulty for employees to see computer or register screens, the checkout process is longer and they are more likely to make mistakes. Commercial window tinting not only reduces glare but it also can decrease the heat. Tinting helps save money (we all like that, don’t we!) on your business’s energy costs and keeps your A/C unit working longer, since it doesn’t have to work as hard. 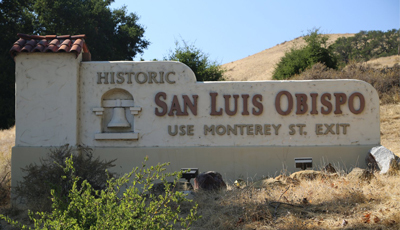 Window tint is perfect for San Luis Obispo stores and offices. It is all the more perfect for schools, government buildings, and medical buildings and the like, because of their added security and confidentiality needs. Privacy and security are big concerns for schools, government buildings, and medical centers. There are sensitive materials that need to be out of view. Patient info must be shielded. Children and staff should not be exposed to those looking in through a window. Yet they should still have a good view outside. Apex has an extensive assortment of choices for these concerns. We carry frost, opaque, decorative and one-way types of films for every situation. Apex also offers Residential Tinting for your home windows!